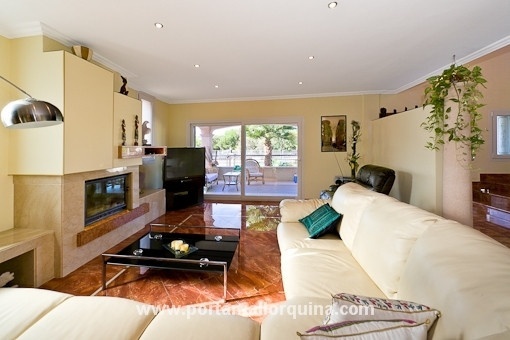 This property was built in 2007 and is situated in Playa de Palma, elevated towards the back of a quiet residential area in Balneario 11. This fantastic house is equipped only with high quality materials and upon entering you immediately get a sense of pure luxury. The living area of 240 sqm is divided over 2 floors and over 4 bedrooms, all equipped with a dressing room, 2 large bathrooms (one en suite), one living room and a first class kitchen. 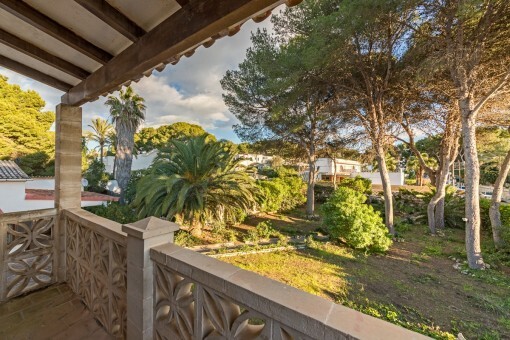 Both the ground floor and the first floor are surrounded by terraces that can be accessed from the living room and from almost every bedroom. The terrace areas offer 150 sqm of additional space. In the basement you find a 120 sqm garage with parking space for 4 - 5 cars and 2 large rooms which could be used as party or hobby rooms. The villa is equipped with an integrated heating system which is responsible for the generation of heat in the winter and air conditioning in the warmer summer months. 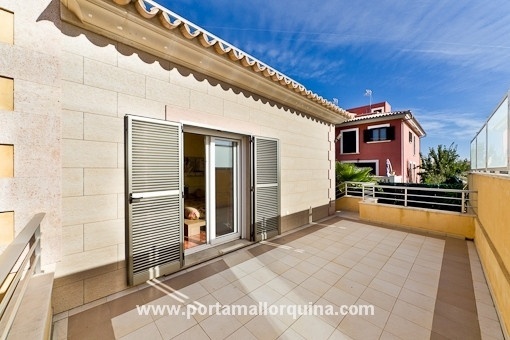 Classic Porcelanosa tiles throughout the property as well as high quality door and window glazing with Majorcan white plastic shutters are just a couple of examples of the high standards that characterize the whole property. The building is surrounded by a beautifully landscaped garden with a 7 x 4 m pool in front. 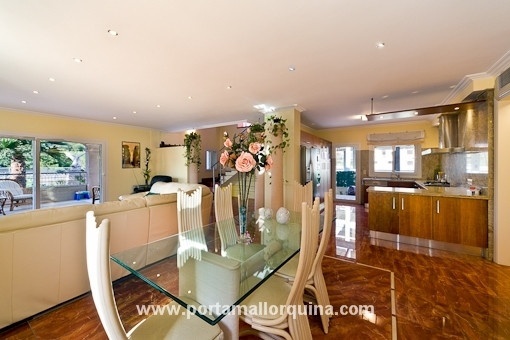 The property is offered with or without full furnishing. The price is the same either way. The annual taxes are approximately 1,800 €. 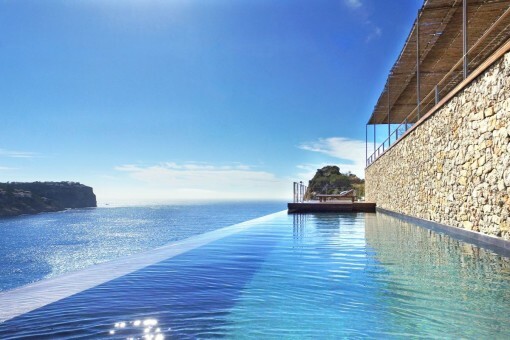 Mallorca’s most popular tourist area is known for its fine sandy beach and the best selection of activities to occupy your free time. 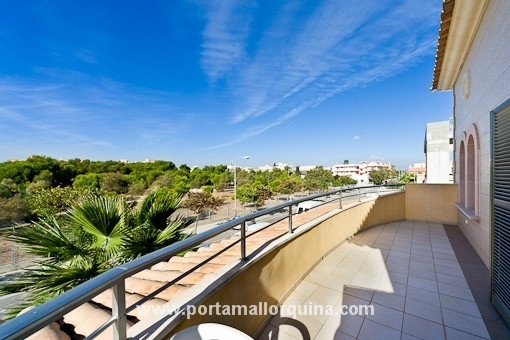 Its proximity to Palma and the airport ensure great business all year around. 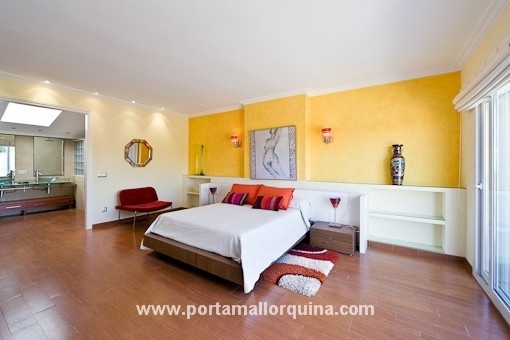 Playa de Palma has S’Arenal to the east and Can Pastilla to the west both of which have attractive ports. From the beach promenade you can reach the Paseo Marítimo by bike through Portixol. 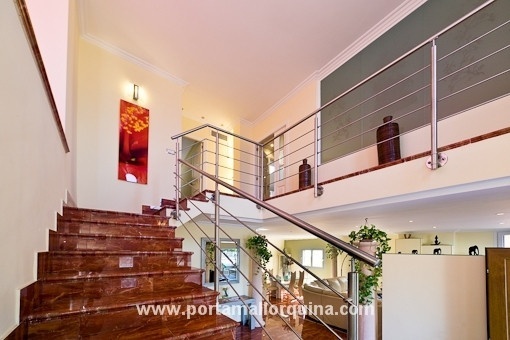 Ik ben geïnteresseerd in: Luxury villa in Playa de Palma - La Ribera (Objekt-Nr.104242). 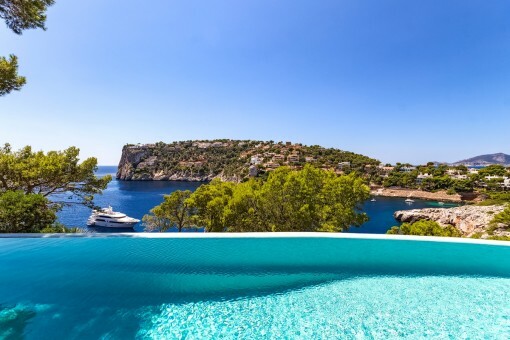 U leest nu: Luxury villa in Playa de Palma - La Ribera · Porta Mallorquina Real Estate Beoordeling 4,8/5 uit 95 reviews.